The San Francisco Garter Snake is one of the scarcest and most colorful of all snakes; others, such as the Butler’s, Eastern and Aquatic Garter Snakes, are often bred by hobbyists. Please see the article below for more on these and other species. These snakes are pet trade staples, and with good reason. Hardy and easy to breed, Ratsnakes are large enough to satisfy those who want a snake of substantial size, yet small enough to be housed comfortably in a 30-55 gallon terrarium (unusually large specimens may exceed 6 feet, but most average 3-4 feet long). Captives have exceeded 30 years of age. Ratsnake taxonomy has been revised recently, with several former species being eliminated. 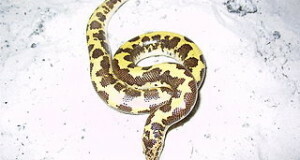 However, hobbyists tend to retain the older common names – Black, Texas, Gray, Everglades and Yellow Ratsnakes are among the most popular species/races, and a variety of color phases and hybrids have been produced (the Corn Snake, sometimes known as the Red Ratsnake, is available in at least 25 distinct color phases). Ratsnakes can be defensive, but most calm down quickly. They do well at 72-78 F, with a warmer basking site, readily accept mice and small rats, and provide a great introduction to the breeding of egg-laying snakes. Another snake enthusiast’s favorite, the 7 subspecies of the Eastern Kingsnake are all well-suited to captivity. 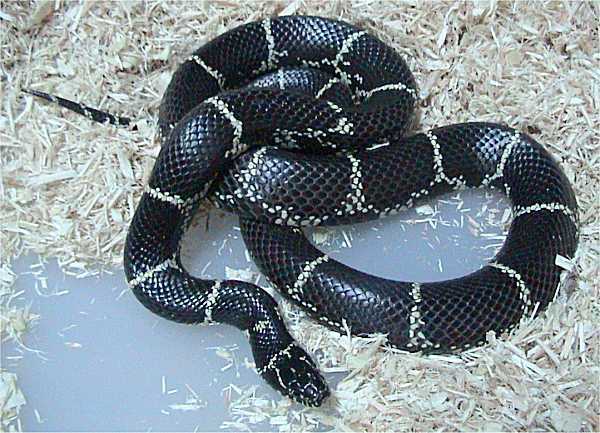 Related species, including the California, Desert and Florida Kingsnake, are also well-established in private collections. 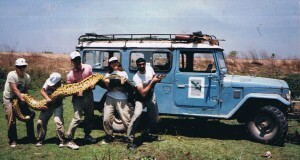 Most top out at 3-4 feet in length, with rare individuals reaching 6.5 feet. Kingsnakes are known for the unusually wide range of prey they take –venomous snakes (please see video below), lizards, rodents, frogs, turtle eggs, insects and birds are all on the menu. Captives are rarely particular, however, and fare well on mice. Kingsnakes are quite hardy and breed readily, but cannot tolerate damp conditions. Cannibalism is a definite concern as well, and some individuals persist in trying to swallow one’s fingers – not an aggressive response, just a “sampling” of a new food, perhaps. Care in handling is therefore essential. This popular, stoutly-built snake gives the appearance of being much larger than its usual 4 foot length (rarely, odd specimens may reach 6 or even 7 feet). 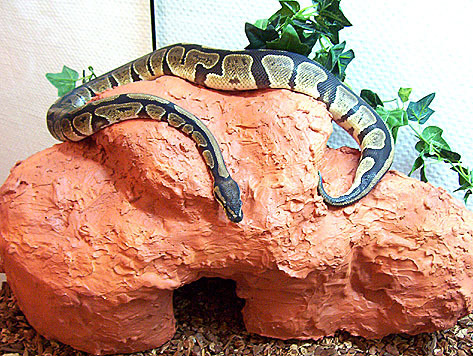 Ball Pythons are not very active, and an ideal choice for those who desire a large snake, but lack space. Although generally mild in temperament, Ball Pythons can bite when threatened, and so must be handled carefully. Wild caught specimens can be extremely choosy concerning their food, but most these days are captive bred and accept mice and rats. Prolonged fasts are common, and may upset new owners – please see the article below for further information. Albino, pastel and a variety of other color phases are available, but the wild form is also quite spectacular. I have been thinking about getting a snake. However I have not yet decided weather or not i would enjoy having one, because i am slightly afraid of being bitten. When getting a snake should assume you will probably get bitten at some point in time at least once? Thanks for your interest and for raising this very important point. No need at all to assume you’ll be bitten. Unfortunately, on some website people seem to regard bites as a “badge of honor”, and this misleads those who are interested in learning. I’ve handled many thousands of venomous and non-venomous snakes during my years working at zoos, and have only been bitten during field research, where it was difficult to control conditions (i.e. in water, working with others, trying to subdue large anacondas). Bites from non-venomous snakes can cause serious infections, and so should never be treated lightly. I can give you some handling tips when you are ready; also there are snake hooks and other handling tools that are useful. Several species rarely bite and make great pets…DeKay or Brown Snakes, for example. Thank you very much for the helpful information. I believe i have narrowed down my choices to the Carpet Python or a Ball Python. I believe i have quite a bit more research to do on this two snakes to decide what one i want as my start into snakes. Once quick question i have been having trouble finding the answer to is with the different mutations within the snake does it make it have different characteristics or attitudes or just change in color? Also what exactly is the difference between a Ball Python and a Fancy Ball Python? Thanks for the feedback; nice to see you are looking into this carefully before deciding. This Ball Python article and those linked at the end of it might be of interest. Carpet pythons are usually quite hardy, but they do get larger than ball pythons and need more room, as they are also more active. The various colors are just mutations that have been selectively bred by hobbyists; they have nothing to do with behavior and so on. “Fancy” is a general term…some terms are fairly specific, i.e. “Leucistic” or “Albino”, but breeders and stores also make up new ones or change others to suit their needs. What is the minimum floor space requirement for an adult corn snake? Do they fare well in a planted terrarium with braches to climb and foliage for hiding? I love the idea of getting a garter snake; they are small, are found locally, and my son loves to catch them in our yard. I’ve read, though, that they don’t fare as well in captivity. Is there truth to that? Why? Do you know of any reputable, relatively local, source for obtaining captive-bred snakes? I’m located near Albany, but have family in the Poconos. We won’t be purchasing the snake soon. We’ve worked out an arrangement for our son to demonstrate that he can take care of a pet, but I want to make sure that we’ve done all of our research ahead of time. Thanks for your interest and for posting here. Most adults will need a 30-55 gallon aquarium (a 55 measures 4 feet long, about half as wide). Commercial cages are also available. Hatchlings can be kept in a 10 gallon aquarium for a year or 2. Here is an article on Corn Snakes, as well as Black Ratsnake care, which applies to them as well. Corn do fine in planted terrariums; it takes some planning for adults, re plant species, anchoring branches, but is well worth the effort. I’ve designed many zoo exhibits for them and can help out when you are ready. Please see this article on Naturalistic Snake Terrariums. Garter snakes are ideally suited to planted terrariums, and even wild caught ones usually do quite well. The have shorter life-spans than Ratsnakes and others, 8-10 years or so, and do not always take well to handling. But very interesting, active and have higher metabolisms than most snakes; often forage for food, and eat more frequently. Allowing earthworms and beetle grubs to establish themselves in the tank allows for great observations, learning potential – locating hidden prey via scent, etc. Here is a four part article on their care and nat. history. I don’t have any direct contacts there, but check http://www.kingsnake.com , under classifieds, corn snakes (the more expensive animals will be unique color phases. 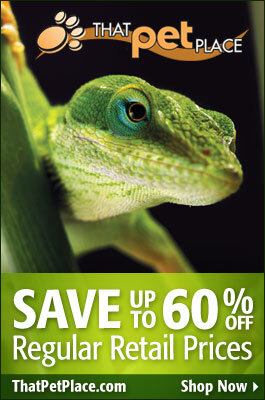 See the events section also, for nearby reptile expos…should be several in your area in the spring, great way to buy from private breeders, and the least expensive option. Thanks for all your informative posts. They’re really very good! I have a ball python and I love it to bits! As you’ve expressed on other parts of this site, the only problem seems to be when they go on hunger strikes. But that’s a small price to pay for such a good pet, I think. Really enjoying this blog, and keep up the good work! Thanks for the kind words, much appreciated. Yes, Sand Boas do not take well to handling, and spend most of their time buried in the substrate. Corn Snakes and ball Pythons are usually mild mannered, but all snakes must be handled with care. Ball pythons routinely go on long fasts, which tends to worry new owners. You might enjoy these articles on Corn Snake Care and Ball Python Care. Please let me know if you have any questions. I have a ball python and found a baby garter snake. Is it okay to keep them in the same tank? Will the garter snake give my ball python any diseases?